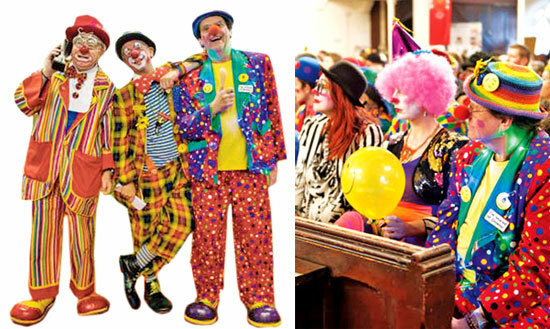 The streets of east London erupted with slapstick humour on February 3 as clowns from all over gathered for the annual memorial of the legendary Joseph Grimaldi. "King of clowns" Grimaldi was a 19th-century English stage performer, credited with inventing the white-faced, curly haired, red-nosed look that came to define the role of a clown. Scores of devotees travelled by plane, by car and on foot, wearing oversized shoes, to the All Saints Church in Haggerston for the service, which has been held annually since 1947. “We have people flying in from Canada, Ireland, from France, people coming down from Scotland" for the "funny reverential service remembering the legend," said organiser Bibbledy Bob. Balloons and bunting hung above the normally sombre pews, which were taken over by wags wearing tiny hats, huge bow ties and novelty flowers in honour of the English actor and comedian, who lived from 1778 to 1837. Unicycles rolled down the aisles, while other fans sat holding custard pies throughout the service. 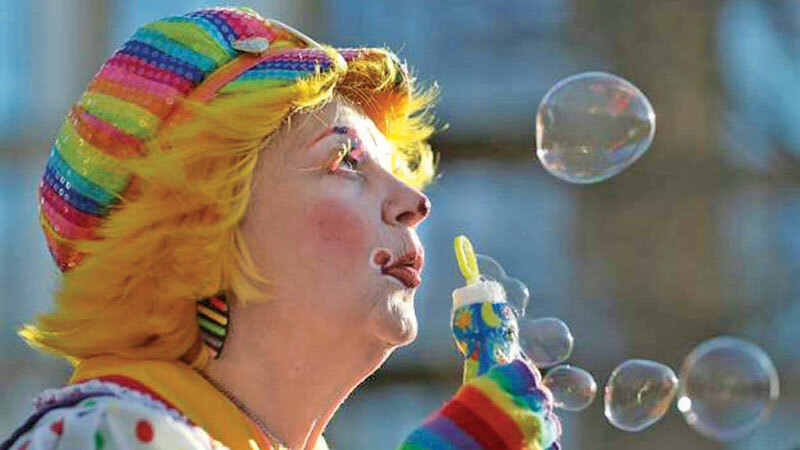 “There's circus clowns, theatrical clowns, party clowns, tramp clowns – there's lots of genres of clowning," said Bibbledy Bob, a party clown. "There's many ways to become a clown, you only have to look at the Houses of Parliament," he joked. The unusual gathering attracted puzzled looks and enthusiastic fans alike. “People stop you for autographs," Bibbledy Bob remarked.